Experience the revolution in sheet-fed commercial printing. Offset sheet-fed printing is a popular choice for small and medium-sized fixed jobs. Unilke web offset printing, sheet-fed presses print on individual sheets of paper, as opposed to continuous rolls of paper. Many of today's sheet-fed presses are configured so that the sheet can be turned and printed on the back side. There are different sheet-fed press sizes to handle various sizes of paper depending on the print job. 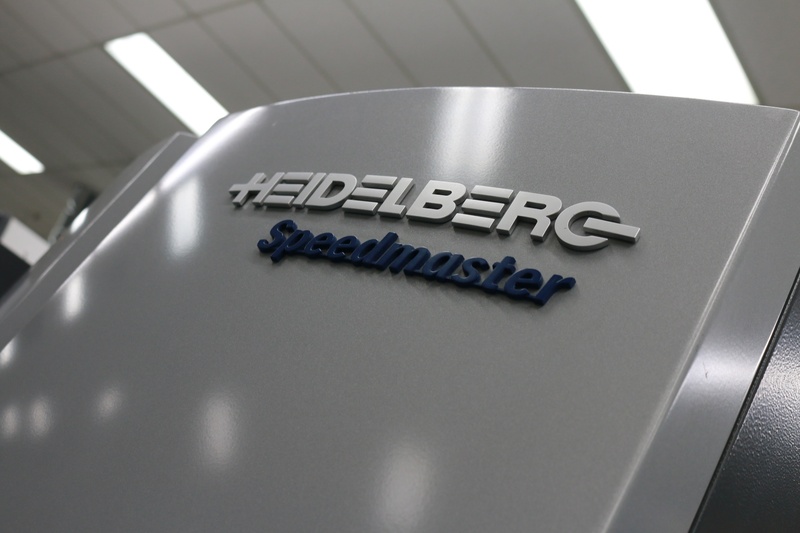 As a leading commercial printing company, Rex 3 revolutionized offset sheet-fed printing by introducing The Superpress, the Heidelberg Speedmaster XL 106, the most advanced offset printer into their commercial printing operations. The introduction of The Superpress was part of a $5 million technology and equipment upgrade to expand our capabilities and continue to meet the expectations of today’s savvy and selective customers. Highspeed sheet-fed printing: the Superpress offers superior accuracy at up to 18,000 sheets per hour while supporting a broad spectrum of substrates at high speeds without sacraficing quality. Brillant color sheet-fed prinitng: the six color Superpress delivers the truest colors, unmatched depth, precision, and accuracy on every job with the Prinect Axis Control. Your company specific pantone colors are stored, guaranteeing that your brand colors are consistent every time. Special finishing Effects: the Superpress is UV ink capable and utilizes an inline UV coating feature guaranteeing fast dry times. Quick dry times enables the Superpress to incorporate a wide variety of special finishing effects including high-gloss, matte, and textured spot varnishes. The Superpress also features an aqueous coater with industry leading precision and stability. Sheet-fed offset printing services: Rex 3's offset printing solutions offer many options, like the types of substrates used in the printing job and the finishes that can be applied. All of your brand-building concepts, from direct mail, advertising, and packaging to the full range of your commercial offset printing.